Cordless Day/Night Cellular Shade Sheer/Shadow White 30-inch x 72-inch (Actual width 29.625-inch) The right window shade can refresh your room with light and colour. When making your choices, be sure to think about how much light you need. A sheer cellular shade will filter light gently into your space, while a black out cellular shade will stop unwanted brightness. You'll also want to consider tone and texture. What shade will complement your furniture, floor coverings and wall colour? Cordless Day/Night Cellular Shade Sheer/Shadow White 30-inch x 72-inch (Actual width 29.625-inch) is rated 5.0 out of 5 by 1. Rated 5 out of 5 by Sarah from Great blinds! Exactly what we were looking for! 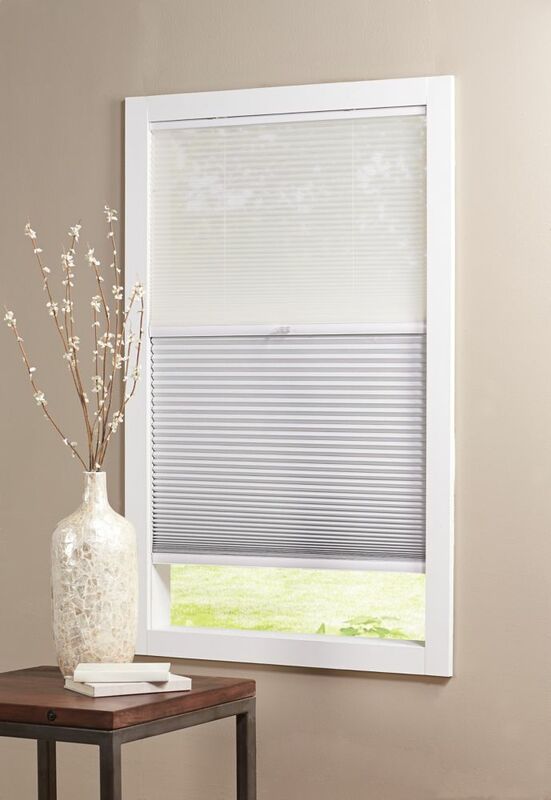 Easy to use, great blinds, love the black out AND sheer options!! !